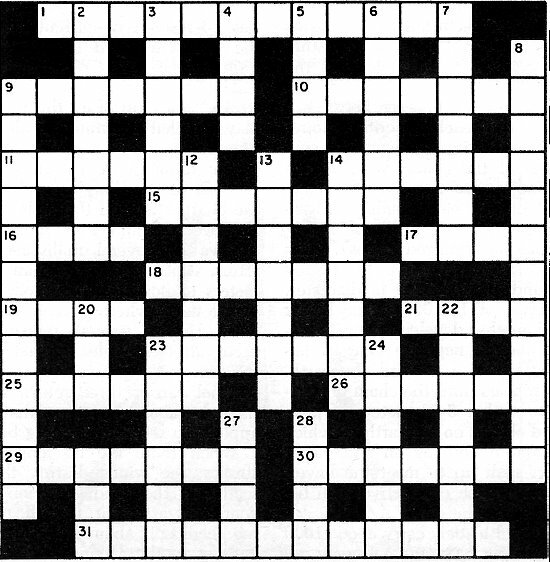 Regular RF Cafe visitors know I have a penchant for creating and solving crossword puzzles. 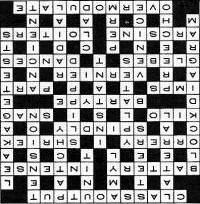 Since around 2001, I have personally generated a new crossword almost every week - hundreds in total. Some studies have suggested lower rates of dementia in people who regularly exercise their brains, but that is not the primary reason I work crossword, word scramble, and Sudoku puzzles - I enjoy the challenge. 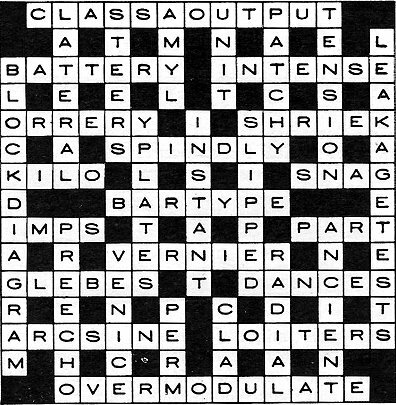 A couple times each year, Popular Electronics magazine published an electronics-themed crossword puzzle; however, unlike the crosswords I make, not all of the words and clues have to do with technology and science. Still, they're a good pastime activity. 1. Used a lot with hi-fi tubes, but rarely with hi-f transistors. 10. Avoid this class of radiation. 11. Pre-radio astronomy apparatus which illustrated the planet positions. 14. What you may hear when the n.f.b. goes positive. 15. Condition of the overlong pot shaft. 16. 1000 cycles, this Hz! 18. Boozy sort of permanent magnet. 23. This gives the micrometer its final resolution. 25. Parish lands hidden in the dingle beside the church. 26. Minuet, polka, or bugaloo. 29. Sounds like Noah's nameplate, but is really the inverse of the sine. 31.To put excessive audio into the final. 2. Applies to mono disc recording. 3. What the yoke does to the beam. 4. Alcoholic radical and gets dopey with acetate. 5. A volt is one. 6. Scruffy appearance of the jack board? 7. Ten ions in stress. 8. 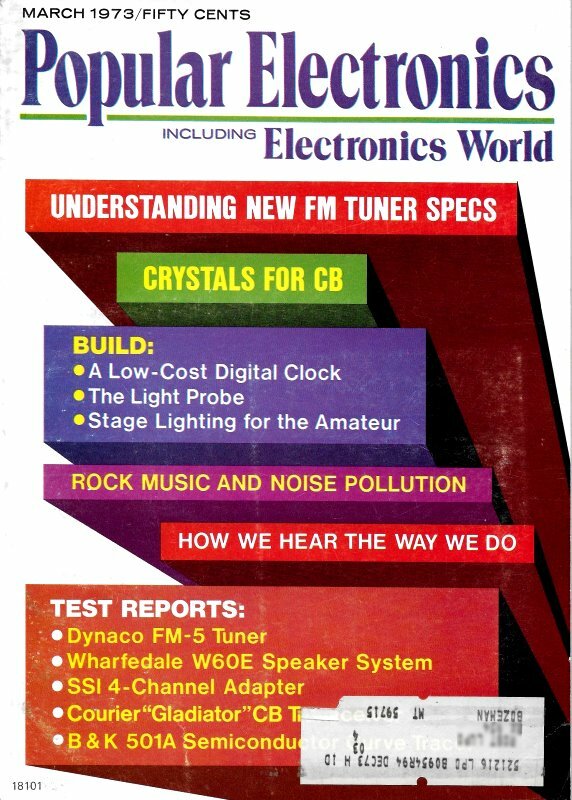 A neon checker will perform these with capacitors. 9. Circuit presentation for squares? 12. A pair for vertical deflections. 14. Fate of disc on badly adjusted auto-changer? 20. Loud passage faintly evident in preceding groove. 22. This mariner of old had a nice tan. 23. City of blinding TV interference? 24. The field in a d'Arsonval meter air-gap. 27. A very feminine sort of wave. 28. The board is this with copper.